Hopkinsville first and only craft beer brewery. Locally sourced, community oriented, and veteran owned and operated. We produce, sell, and distribute a variety of traditional and creative craft beers. Full service flooring retailer, sales & installation. Comfort Suites in Hopkinsville is the newest and ONLY hotel within Hopkinsville to offer guest 100% Smoke Free Suites for EVERY room type! All suites come with a fridge, mircowave, and sofa pull out! The Peddler is your weekly resource to buy, sell and trade in an eleven county area since 1983. Advertising that works! Your full service farm equipment dealer featuring new and used farm equipment, precision farming solutions, certified service and parts support for Case IH, New Holland, Kubota, Kinze and many others. The James E. Bruce Convention Center is Hopkinsville, Oak Grove, and Ft. Campbell, Kentucky's first choice for Events, Meetings, Catering, and Weddings. Our mission is to provide academic excellence based on Biblical principles. We are committed to equip each student intellectually, socially, physically and spiritually. Habitat builds in communities through a volunteer based program and depends on support from churches, businesses and individuals. The historic Hopkinsville Carnegie Library served as Hopkinsville's primary library until 1976. After years of neglect is it being restored to its original quality. The Christian County Chamber of Commerce is a not-for-profit membership organization serving small business interests in Hopkinsville and all of Christian County, KY.
880 N Cherokee Trace Blvd. 8,000 square feet of event space that combines the rustic dairy barn with industrial elegance. 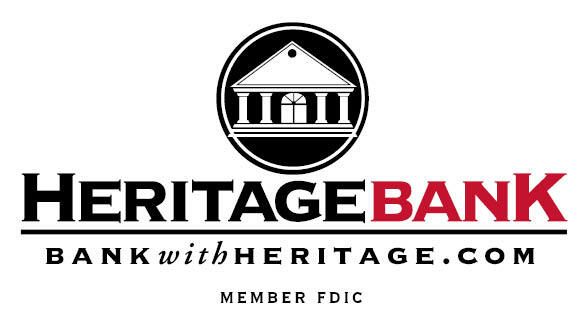 Heritage Bank is headquartered in Hopkinsville, Kentucky. The company was chartered in 1879 and has been serving the tri-state area for more than 130 years. University Heights seeks to provide educational opportunities that will allow every student to achieve to the best of his/her ability and to develop as a whole person. A destination for all ages! Family-owned and operated farm. Pet and feed farm animals and experience the area's best 18-hole farm-themed mini golf course. Educational and seasonal activities also.